Moving home is regarded as one of the most challenging events in our lives and one we experience on average, every seven years. However, the procedure becomes even more taxing when moving internationally. Granted, the idea of living a life of sun and sea sounds wonderful, but the process of getting there is stressful nonetheless. Finding a reputable company, understanding the different modes of transportation available, the cost implications and the vast array of documentation required can be a daunting process, which is why we’ve put together this useful guide to help you avoid the pitfalls when planning your international move. – An obvious point, but it is imperative to a successful relocation. Non-biased feedback from previous customers is the true barometer of the kind of service you’re likely to receive, so check review sites such as TrustPilot, Feefo, or Yelp. 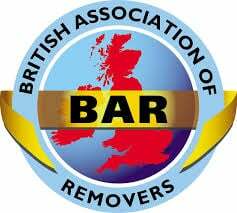 – Check for a company’s trade association membership, such as Fidi Global Alliance, which is a global alliance of independent quality international removal companies, or BAR (British Association of Removers). Such companies are bound by a code of practice which ensures high professional standards. – The initial process will involve a discussion on the transport options available. For moves to northern parts of Europe road transportation may be the most efficient mode of transport. For longer distant moves the most cost effective mode of transportation is to have your household possessions sent by sea freight. In such circumstances your goods will be loaded in a steel shipping container and transported by sea freight to the country of destination. – Once you’ve determined the most appropriate mode of transport the removal company will normally arrange a survey in order to assess the quantity of items to be transported. It is only at this point that the removal company will be able to provide a detailed breakdown of the costs involved. – During the survey the removal company will outline the different levels of service available. Essentially it’s a case of deciding whether you require a full-pack move which involves the removals company wrapping and packing all your belongings, or whether you intend to do this yourself. – When choosing your relocation company, remember to ask about sufficient insurance coverage, as it is peace of mind and means if anything does happen to your goods, you have the opportunity to claim. Usually insurance is included in the quote, but make sure you check. If you decide to pack your goods yourself check with the company to ensure that they are covered. Valuable items may not be covered unless they have been packed by the removal company. – If you’ve decided to have your possessions moved by sea you need to determine whether you wish to have the shipping container packed at your home, or whether the removal company collects your possessions and transfers them to a warehouse for loading into the container. When deciding this you need to consider access to your property as well as any disruption this may cause to your neighbours. Also it’s important to remember that if any damage is caused the local council will need to be alerted and you may be liable for any repairs. – Once the container has been packed, it will then be delivered to the international sea port where it will be loaded onto a container ship for onward shipping to the port of destination. Depending on where in the world you are moving to this could take anything from 10-35 days. – Although typically most UK removal companies won’t have their own branch overseas they will work in alliance with reputable overseas movers who they will liaise with on your behalf to make the final arrangements from the port of destination to your new home. – Bear in mind that on arrival at the port of destination your possessions will go through the various import & customs procedures. Once your container has passed through customs (assuming there’s no delay) your belongings will be released at which point they are cleared for collection and delivery. – It’s important to be aware that in the event that Customs delay the procedure by inspecting the contents of your shipment (either on export, or on arrival into the destination country) that you will be charged for this. This is not part of your overseas removals quote, it is a charge levied by Customs. Moving abroad shouldn’t be a complicated, stressful process if managed correctly. The most important factors are a clear understanding of the processes involved, allowing sufficient time to plan your move and ensuring that you use a reputable, professional mover. When you’re ready to start arranging your overseas move you can compare quotes from thousands of trusted movers at DeliveryQuoteCompare.com; simply enter brief details on your move then sit back and wait for the quotes to come in from fully verified and trusted removal companies. These tips are really helpful and impressive for A Guide to ” Moving overseas: packing”. We know that while packing for abroad moving we have to consider lots of things like the main concerns about cost. So i thinks this blogs useful in that situation.Thanks for this blog.